It's August and everything in the garden is tired, including me. The kitchen upgrade took a lot of the starch out of my sails for gardening this spring/summer, but I did manage to grow some awesome tomatoes. I stuck to my word and did not grow tomatoes for canning, but for eating. The irony is, I never had to buy tomatoes at the farmer's market anyway, as the amount of plants I grew this year was perfect for both (20 plants). 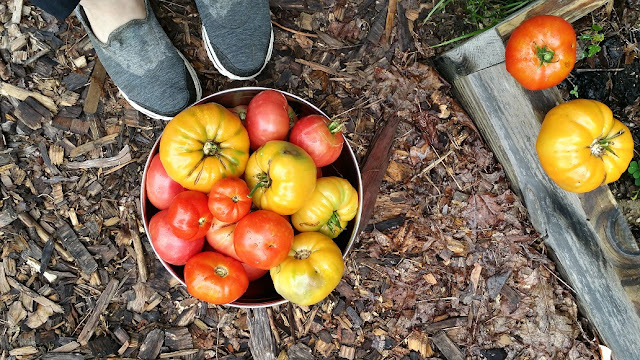 I grew one bed of the reliable hybrid standby "Early Girl" and a bed-and-a-half of heirlooms, which included "Sudduth's Brandywine" (my favorite), "Kellogg's Breakfast," "Soldaki," "Black From Tula," "Druzba," and maybe an "Atkinson" thrown in and one hybrid "Supersauce". 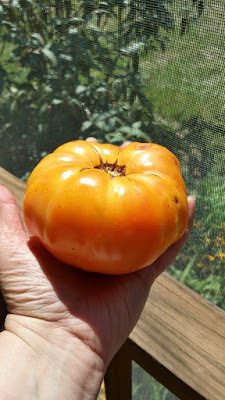 "Kellogg's Breakfast" was a new one for me this year, and I have to say I have been very impressed at these canary yellow, huge, beefsteak beauties. 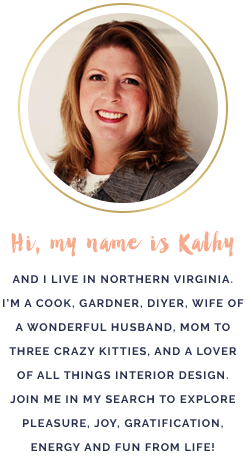 They are great producers and their flavor is very mild compared to Brandywine, almost a meaty, steak tartar. And they sure are pretty, aren't they? I love the contrast they give and I think will be a keeper for growing next year. "Soldacki" was new as well and I wasn't too impressed, as it tasted very much like "Early Girl" and wasn't that great of a producer. Hybrid "Supersauce" puts out HUGE, egg-shaped Roma tomatoes, but the flavor is very bland until you roast them. Then they are very sweet and dense flavored, much like the flavor of tomato paste. The others I had grown before and have been reliable troopers. The tomato patch will most likely be put to rest this weekend and I will think about if I want to grow some spinach and Chinese cabbage for this fall. We have another heat wave coming in this week, so I'm over summer and ready for sweater weather!